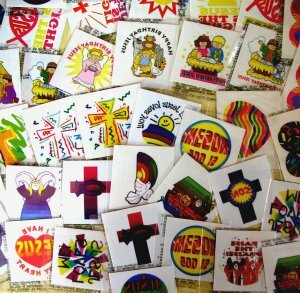 Mega Pack of 60 Christian Tattoos. This pack is ideal for fund raising in churches, schools and Sunday Schools. Each pack has a varied range featuring tattoos sold in smaller packs on our site. A great fund raiser that is always popular with children and teenagers. Good fund raiser at the teenage discos each month in the Christian youth centre.